Episode 113 features Sarah Onofri who hails from Boston, MA. Sarah is an elementary ESL teacher, a Girl Scout leader and is also on the Board of Directors of the National Stuttering Association. Sarah talks about how she got into teaching and how she handles her stuttering when it comes up with her students. Sarah was introduced to a teacher who stutters when she was 16 at her first NSA conference, which really reinforced to Sarah that she could indeed be a teacher. 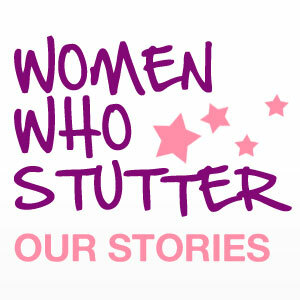 Listen in as we talk about advertising, acceptance and actually talking about stuttering, which Sarah never did when she was young. We talk about her early speech therapy experiences and how she first learned about the NSA. Sarah also talks the bond she and her mom have formed after attending annual conferences together. Feel free to leave comments or ask questions. Feedback is a gift. 4 Responses to "Lessons On Stuttering – Episode 113"
Hello Pam ! I can´t get Sarah on line. Can you help me ? What do you mean – you can’t get her online? Can you try accessing via iTunes? My comment on Sarah Onofri’s conversation is somewhat late, but anyway… I was very interested in listening to this podcast, as Sarah was moderator for the very first workshop I attended at my very first NSA Conference in 2012. It was a sort of “Welcome to first-timers” type of workshop. We were ~15 people, sitting in a circle, introducing ourselves, and sharing a bit of our respective stories. Right from the start, some stories were quite moving. Sarah was great at welcoming everyone and make us feel at home. For the rest of the Conference I often saw her walking around with a bunch of happy kids. She clearly seemed to be at the right place with kids. Great role model for young women, and very generous of her time paying forward to the stuttering community! Hi JF – thanks for listening and taking the time to comment. Yes, Sarah is a perfect fit to work with kids and first-timers. She is a valuable member of the stuttering community.